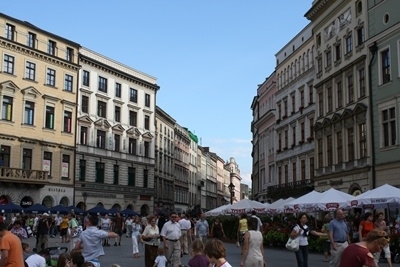 British Airways has announced a new route to Krakow in Poland, with flights commencing on May 1st. Krakow is a lovely city – if you haven’t managed to get there yet then you should put it on your list. The entire Old Town is a UNESCO World Heritage site. Unfortunately the BA flights are not hugely convenient. For a start, there are only four flights per week. On Monday it will depart at 8.40, on Wednesday at 4.40, on Friday at 11.45 and Sunday at 4.40. The return flights generally leave four hours later. Whilst these times seem a bit odd, they do allow you to maximise your time on a short break whilst reducing the number of hotel nights you need – as long as you depart on a Monday or Friday and come back on a Wednesday or Sunday! These services are planned to coincide with the May opening of the new international terminal at Krakow airport and a direct rail link from the airport into the city centre. Slightly surprisingly, as this will a tourist-focussed route, it will depart from Heathrow and not Gatwick. More surprisingly, it will depart from Terminal 5 and not Terminal 3 which is generally where routes with little connecting traffic are dumped. Tickets, both cash and Avios redemptions, are already bookable at ba.com. What zone does this drop into? *How many Avios one-way I mean? Go soon, would bet this is slot sitting and the route will go within 18 months. As Rob says-Kraków is a lovely city. There is so much to do/see at any time of year, and a lovely Christmas market- Mrs Gummidge and I off there for the 3rd consecutive year in a few weeks. Thanks. Was just about to take a look . Best news ever . No more Ryanair for me at all now!! Along with the new motorway out east. The hand baggage only fares are extremely competitive even without factoring in the food. I remember when BA used to fly to Krakow from Gatwick. I used it several times and there was almost a 100% load factor on every flight.